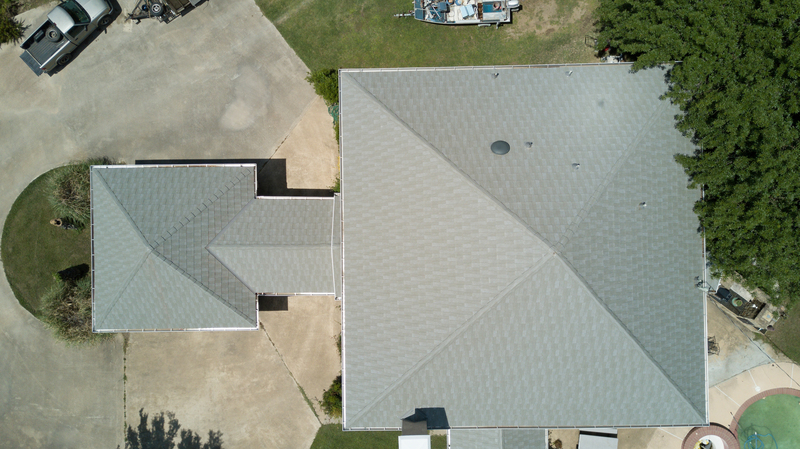 BOSSIER CITY, La., April 25, 2017 – A North Texas homeowner was looking to replace the home’s concrete tile roof, damaged by hail, and searched high and low for a more durable and attractive choice. 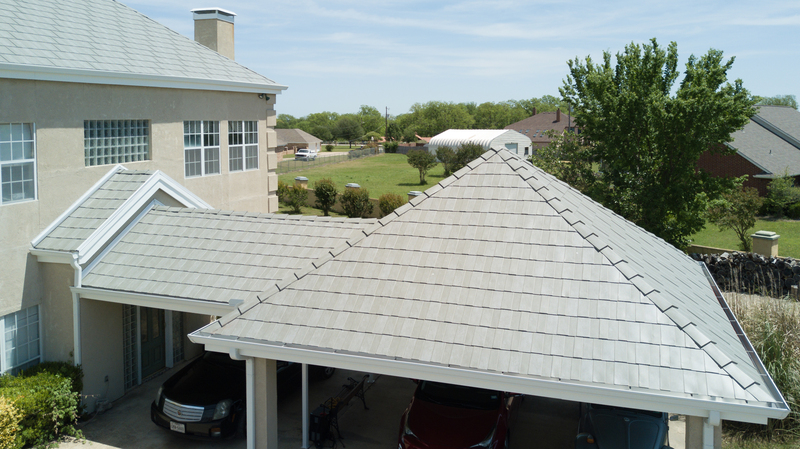 During an online search, she happened to find the Milan metal roofing profile from McElroy Metal. That’s what she wanted. 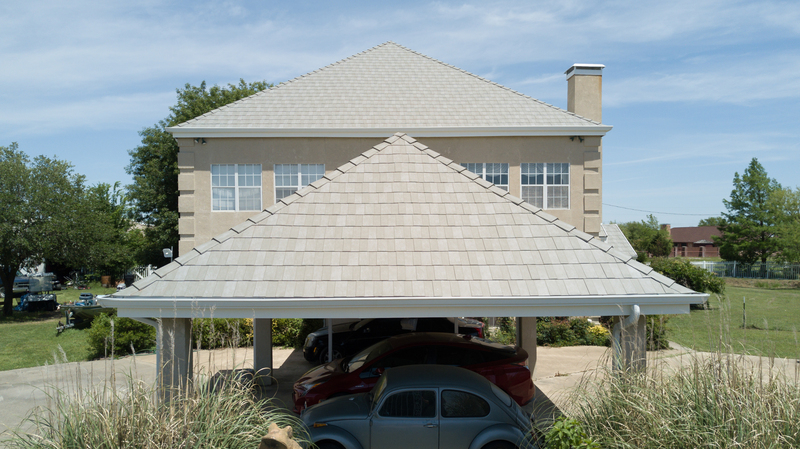 Milan is available in a shake or a slate profile in a variety of PVDF color options. 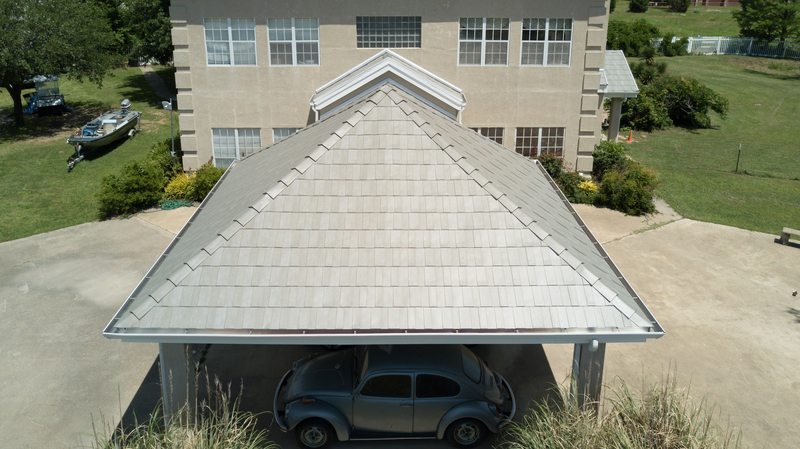 It’s installed from the eaves up to the ridge and provides the look of dimensional shingles, slate or cedar shake. 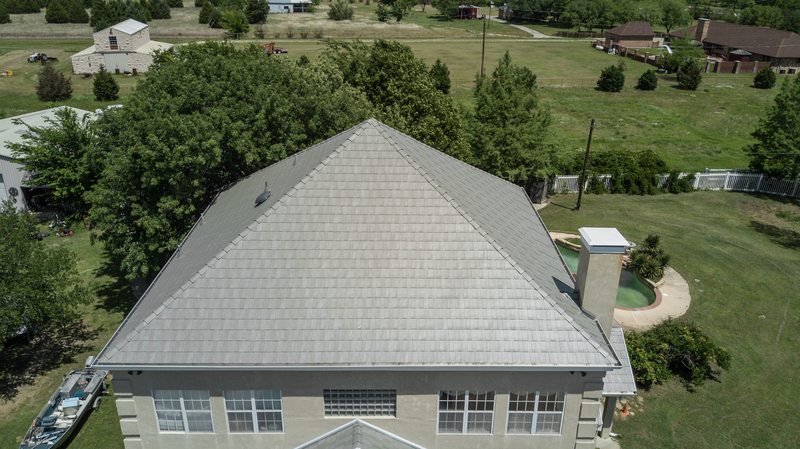 It offers the lasting strength and durability of steel roofing with state-of-the-art coatings. The interlocking Milan panels resist high winds, while the quality G90 galvanized steel provides fire protection. 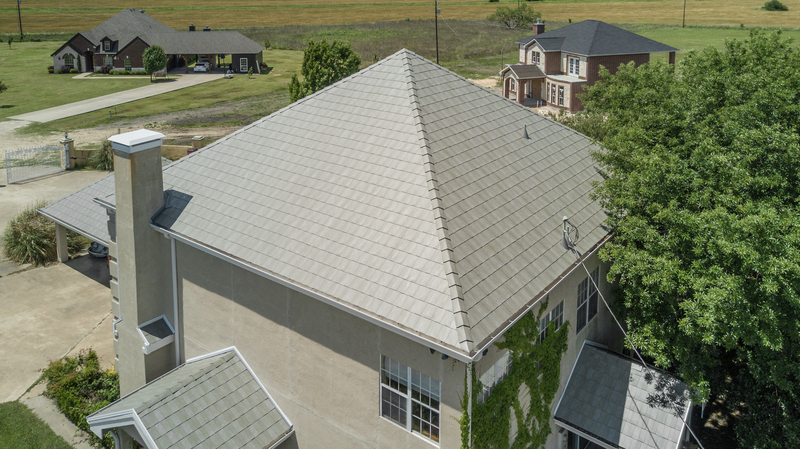 At one-fourth the weight of conventional asphalt roofing shingles, in some cases, Milan can be installed over existing roofs. 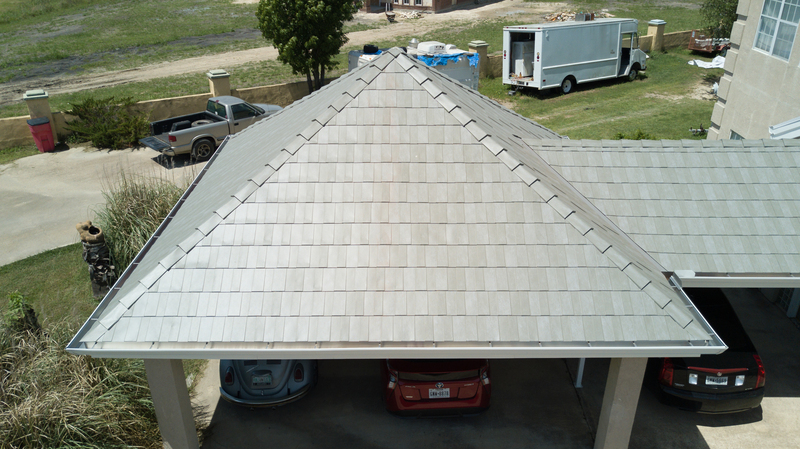 Just more than 4,600 square feet of Milan Slate in the color Green Slate was installed by Maximum Construction. The project was completed in November 2016. Bubb says his crew quickly picked up the knack for installing Milan. 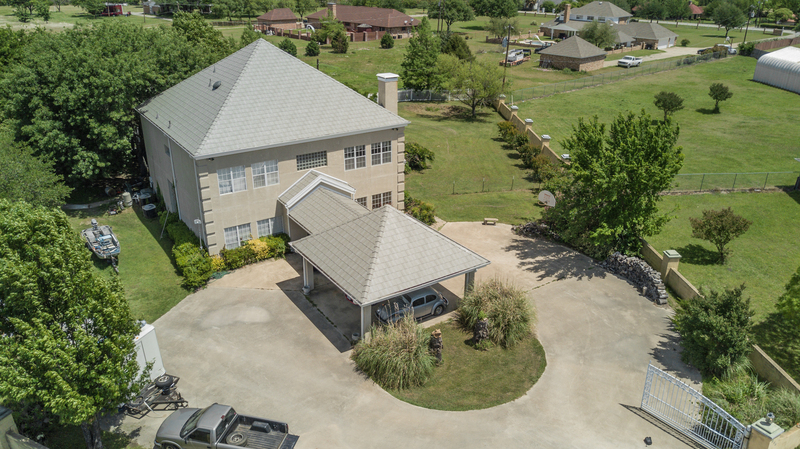 Even though weather slowed down the project, it was completed in five days. The old damaged concrete roof was hauled away by another property owner who used it as fill in a pond.